All of my readers know how much I love cooking in my Instant Pot and Sous Vide to bringing all these yummy recipes to you, my readers. This year I am really trying to bring more healthy type recipes to my readers. Using the Instant Pot and Sous vide and Van’s Products has really helped me to cut out all processed foods. I have really been trying to watch what I eat and get more nutritious with my choices. I do not believe in any quick weight loss fad diets or magic diet pills. Believe me, I have tried all the fad diets only to gain weight back again. There is no easy way to lose weight. I know I need to work hard and make smart choices. 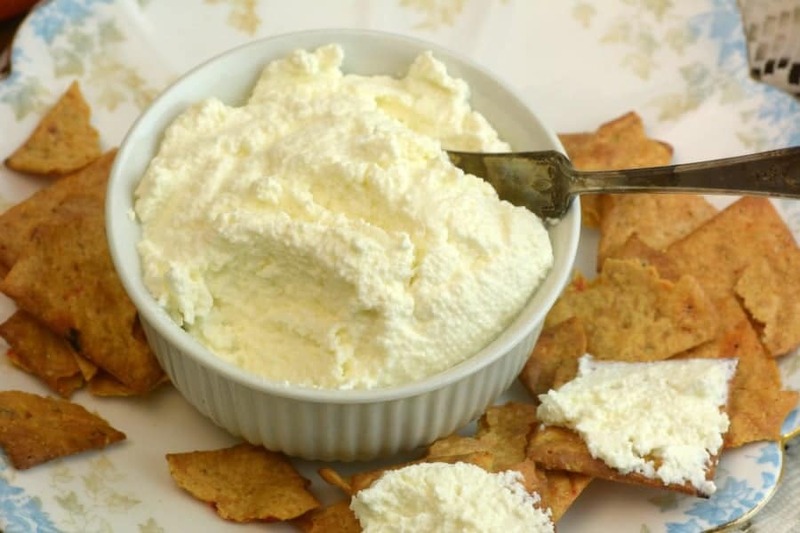 Making my own Homemade Ricotta Cheese is one great way to start served with Van’s Fire Roasted Veggie Gluten Free Crackers. No extra added fillers or preservatives, only simple, clean ingredients making this snack a wholesome treat you can feel proud to serve your entire family and best of all, it is actually good for them. Directions: Pour Milk directly into your instant pot. This does not require pot in pot. Place your pot on “Yogurt” function and hit the adjust button until you see ‘Boil’. Place lid on and in the venting position. Allow to complete the boil cycle about 30-40 minutes. Check the temp of your milk, it should be 180 degrees. Remove pot and set it on the counter. Stir in salt. Cut your lemon in half and squeeze the juice from each half into the milk. Let mixture sit for 15-20 minutes until you see the whey start to separate from the milk. Place a mesh strainer over a bowl and pour the mixture into a mesh strainer. Let mixture drain about 20 minutes. If you do not have a mesh strainer you can use a regular strainer with cheesecloth, or coffee filters. Refrigerate up to 5 days in an airtight container. 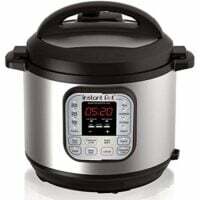 If you do not have an instant pot you can make this on the stove over a medium heat bring your milk to almost a boil at 180 degrees. Your Ricotta cheese goes perfectly with Van’s Fire Roasted Veggie Gluten Free Crackers. Vans Fire Roasted Veggie Crackers go perfect because they are spicy and give that little extra pizza to the snack. Spread a little on each cracker and serve your family a wholesome snack that they will love. I found Van’s Fire Roasted Veggie Gluten Free crackers right at your local Meijer. Right now Meijer has a great special going on—you can save $1.00 on one Van’s Product. So not only is this snack wholesome, it is also saving you money. Who could ask for more? Meijer had a great selection of Van’s products to help you start eating better and getting the year off on the right start this New Year. Pour Milk directly into your instant pot. This does not require pot in pot. Place your pot on “Yogurt” function and hit the adjust button until you see 'Boil'. Place lid on and in the venting position. Allow to complete the boil cycle about 30-40 minutes. Check the temp of your milk, it should be 180 degrees. Remove pot and set it on the counter. 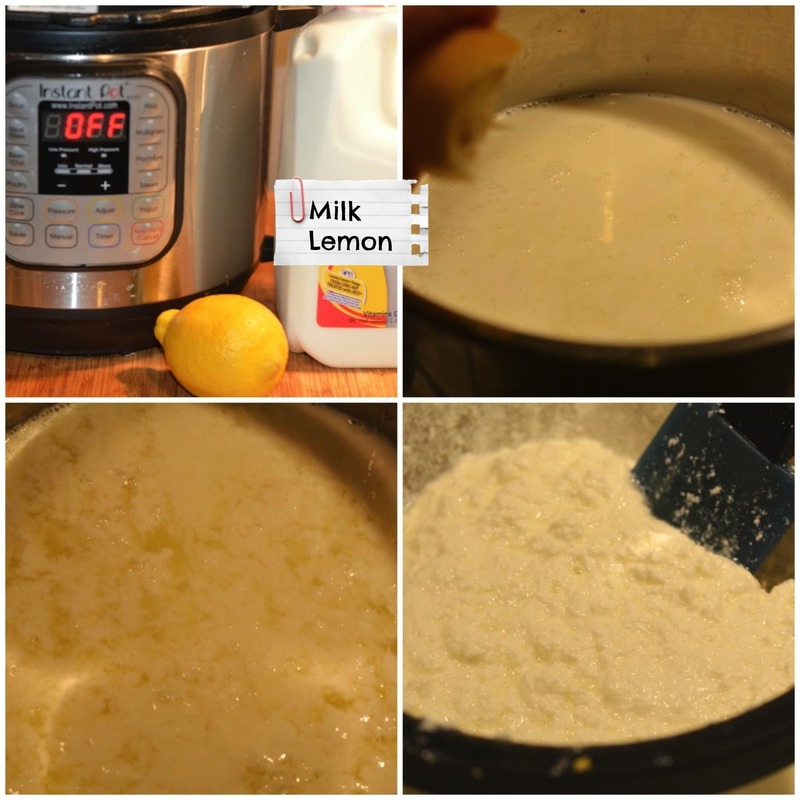 Cut your lemon in half and squeeze the juice from each half into the milk. Let mixture sit for 15-20 minutes until you see the whey start to separate from the milk. Place a mesh strainer over a bowl and pour the mixture into a mesh strainer. Refrigerate up to 5 days in an airtight container. Thank you for this ultra easy ricotta recipe for the IP. Am I correct to assume that 1.9 L (1/2 US gallon) of milk would yield ±475 mL (±2 US cups) of ricotta? 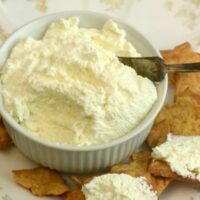 I just tried your recipe for Instant Pot Ricotta Cheese. I’m pretty sure I followed your recipe to a “T” but a 1/2 gallon of whole milk only yielded barely a cup of ricotta. What did I do wrong? Could it have been not enough lemon? I make homemade ricotta using vinegar, I wait to try it lemon! I’d love to try this recipe but I have a pressure cooker not an instant pot. What setting would I use? I’d like to try this recipe, but would like to know if it hast to be whole milk? I was thinking of trying 2%…do you know if that would work. How much does this recipe yield? I am so excited to try it. Wondering if I could halve it. Thanks for the clever and VERY useful recipe!! My Instant Pot doesn’t have the yogurt setting. What do I do?